Established in 1906, the Singapore Chinese Chamber of Commerce & Industry (SCCCI) is an internationally renowned business organisation and the apex body of the Chinese business community in Singapore. To revitalise their brand with modernity, sharpness and relevance, EC was to design two new sets of PowerPoint templates to begin with. 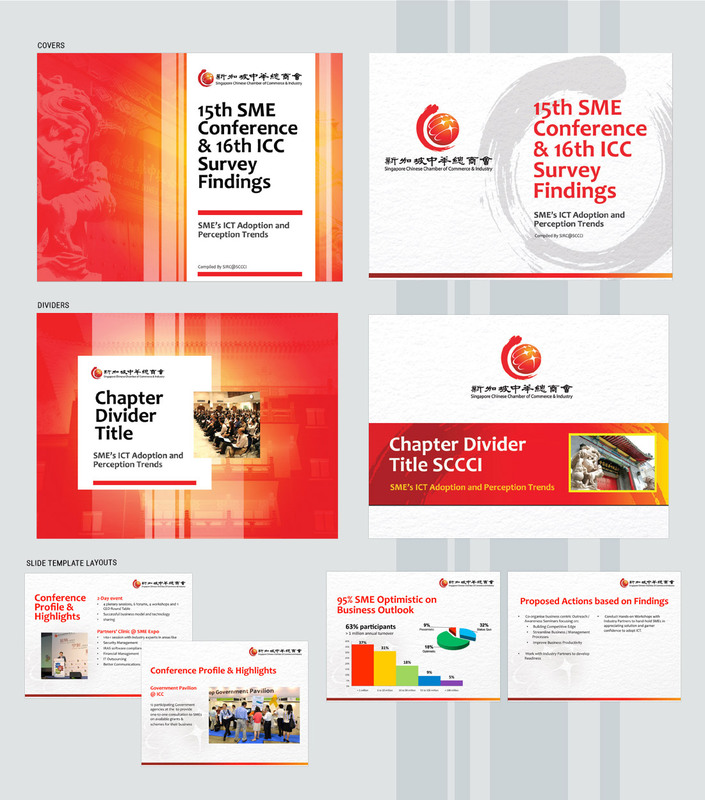 A heritage-themed set featuring SCCCI'S unique architectural facets in rich corporate hues and a contemporary-themed set with clean paper texture and bold Chinese brush stroke were delivered, enhancing SCCCI's brand values in its communication.